I had a few conversations this week with my Aunt regarding items left behind after the death of someone we loved. My Ma’s family always had some issue or another that everyone was pissed about for different reasons and from different angles. There was always something brewing. Even now, decades after the passing of both my Grandparents, there are questions regarding things of sentimental value and “where they ended up”. 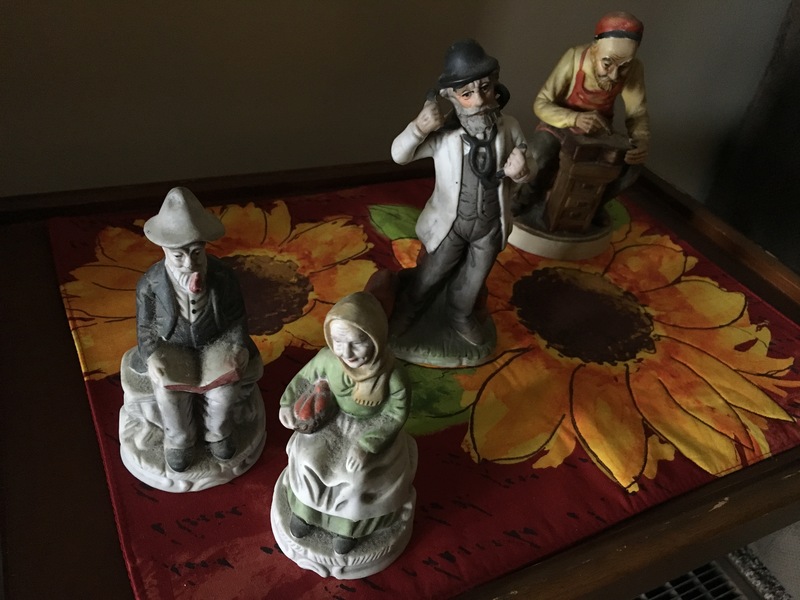 When Mawmaw died there were four different porcelain figurines I had bought for her. I asked that if no one wanted them, and seeing as they were gifts from me, I would like to have them. They are still on display in my hone. After the conversation this week, I walked around my house trying to think of what mementos I had from my Grandparents. To be honest, I do not have that much “stuff”. 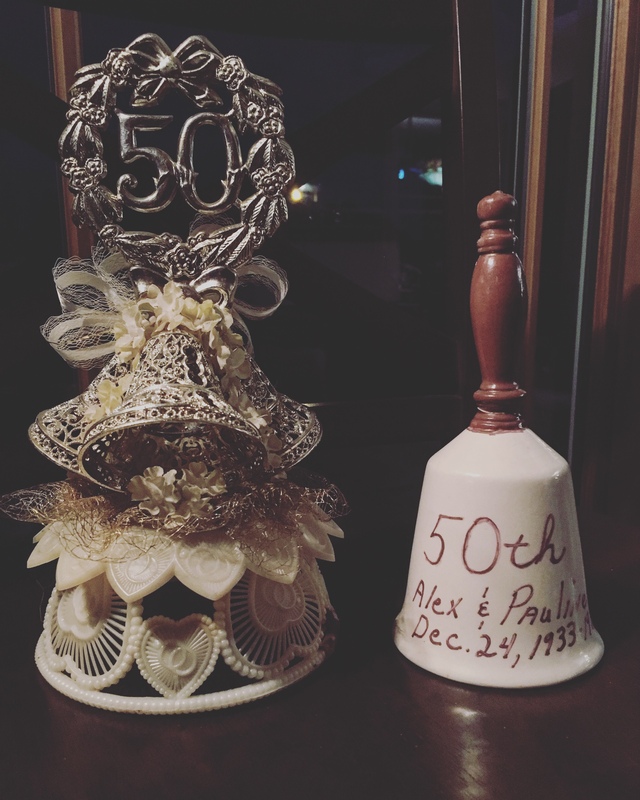 I have the cake topper and bell that I posted a photo of a few days ago. I have a brass nameplate that I broke in their old home when it was empty and for sale, and I used a lamp cord as a makeshift phillips screwdriver to get it off the wall. I have a lighter with Pawpaw’s name engraved on one side and “with love, Michelle” on the other. And the oddest thing I have is an old pill bottle. Weird, right? Well, in truth, when Pawpaw died I was flat devastated. He was my hero. I loved him so much. I was in the room where he always sat, watching TV. It was laying there with other things Mawmaw was going to throw away. I stared at it for the longest time. And for reasons I cannot even identify now, I picked it up and put it in my pocket. It is weird, the things we cling to once we lose someone. The memories and the stories and the need for a tangible item to hold in our hand and to actually feel. In cleaning out boxes of papers from Dad’s. Boxes and boxes and boxes of papers, I found a manilla envelope with random envelopes and flyers. While I was trying to understand why Ma would have hoarded these flyers, it dawned on me. They were not hers, they were Mawmaw’s. They were flyers for tent revivals. And the envelopes were a couple of random cards and one letter with their address on it. To see their name on an envelope with a canceled stamp is a reminder that those are the things that living people do, the random things in life. I have the pictures, the memories and the ability to research the hell outta our line. It is the driving force for me. “Taraczkozy” is why I do genealogy. The family, the stories told, the pride I had when I was a child to be a part of my Pawpaw’s life. 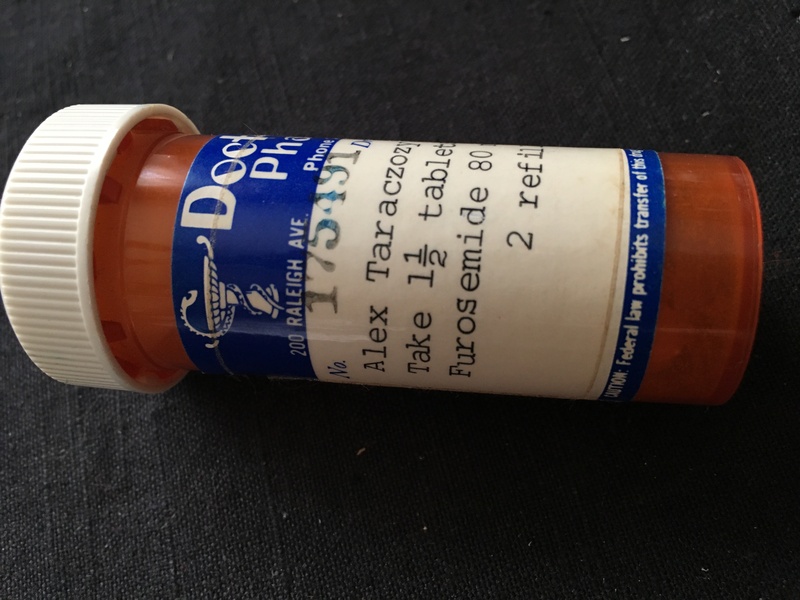 Looking at the pill bottle reminded me of the matchbook I found left behind when my family sold my grandfather’s pickup truck. My grandfather was chain smoker and his truck floor was always cluttered with soda bottles and empty matchbooks. I felt like my memories were being erased when I found those items laying out on a hay wagon in the weather. I carefully scooped up the wet matches and kept them in a treasure box where they remain this day. It is odd, isn’t it? They way we rationalize what matters to us? I am glad you understand how I felt. I saved a shirt that belonged to my father. He died in 1995 and as we were cleaning out his apartment, it was destined for the Goodwill when I plucked it from the pile. It smelled like my dad and even though the smell is now so faded, I still come across it in the back of my drawer and I hold it close to me and try to resurrect the wonderful memories of his scent.